Risk tolerance is the degree of variability in investment returns that an individual is willing to withstand. Risk tolerance is an important component in investing. An individual should have a realistic understanding of his or her ability and willingness to stomach large swings in the value of his or her investments. Investors who take on too much risk may panic and sell at the wrong time.BREAKING DOWN 'Risk Tolerance'. Investors can assess their degree of risk tolerance by taking one of a number of different risk tolerance questionnaires. In addition, it can be useful to review worst-case returns for different asset classes historically in order to get an idea of how much money one would feel comfortable losing if his or her investments have a bad year or bad series of years. Other factors affecting risk tolerance are the time horizon that one has to invest, future earning capacity, and the presence of other assets such as a home, pension, social security or inheritance. In general, one can take greater risk with investable assets when there are other, more stable sources of funds available. There is no perfect test or solution to determining Risk Tolerance - it's a very personal and specific level that is all too commonly impacted by the current state of financial volatility. When the markets are rising it becomes all too easy to become swept up in the surge and allocate too heavily into high risk investments which can cause greater loses when the market reverses. Likewise, many individuals, perhaps still feeling the pain of recent market volatility may be allocated too conservatively for their own good. With Risk Tolerance, "rules of thumb" would say a young person should take lots of risk and people close to retirement should not take much risk at all. While there IS a basic truth to this statement, there can be a wide degree of variation. A young person who emotionally is a Conservative Investor can likely afford a higher degree of risk than the same Conservative investor who is closing in on Normal retirement Age. Likewise, older individuals can be extremely comfortable with investing in the market but again, the younger Aggressive investor can and perhaps should be more aggressive than the aggressive investor who is coming close to Retirement Age. It CAN be very confusing. 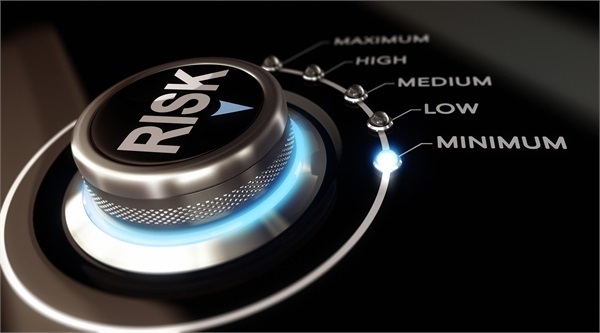 However, there IS a tool, Riskalyze, to assist individuals in measuring their Risk Tolerance more precisely than in the past and it can also better measure the individuals risk in their current or potential portfolio. From here, however, it still comes down to a measure of art and subjectivity to mold the best possible allocation solution. No strategy assures success or guarantees against loss. Investing in securities is subject to risk and may involve loss of principal.